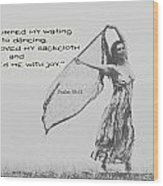 thank you Christian Theme Artwork Group for featuring Clothed me with Joy!! 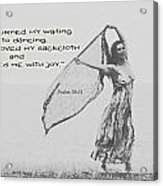 Beautifully Done,Leticia.............Love that Scripture, perfect for this...................v.
What a wonderful depiction of this scripture! You turned my wailing into dancing. You removed my sackcloth and clothed my with joy.